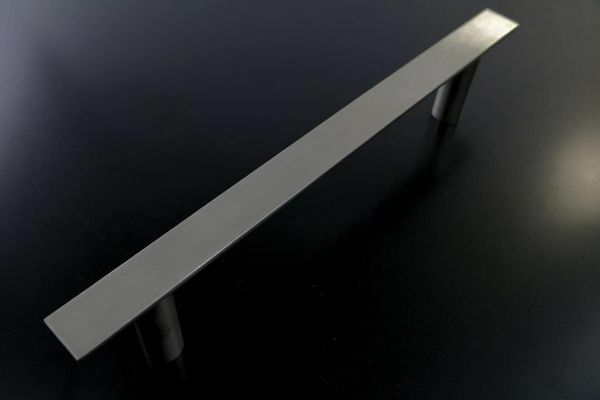 Half round section pull handle on feet pictured in satin stainless steel. 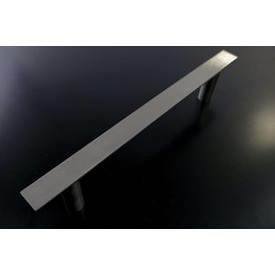 Available in satin or mirror polished stainless steel grade 316. 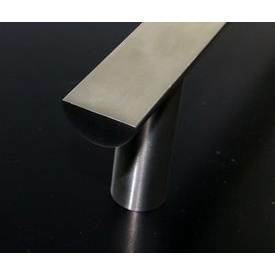 We can Manufacture this handle in any length up to a maximum of 2300mm, sectional sizes available are 30x15 or 25x10mm, but we can offer other sizes upon request.